FRESNO (KMJ/KMPH) — The life and legacy of Rev. Dr. Martin Luther King was remembered in Downtown Fresno as hundreds gathered to honor him on the day dedicated to his work. The march in Downtown Fresno Monday morning started outside St. John’s Cathedral, passed by Fresno City Hall, and ended outside the Veterans Memorial Auditorium. Congressman Jim Costa addressed the crowd outside Fresno City Hall. 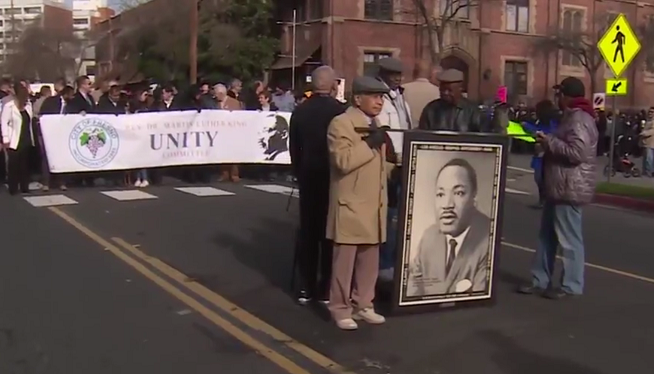 “Truth is spoken is as important today as it was when Dr. Martin Luther King led us in that great civil rights movement,” said Costa.